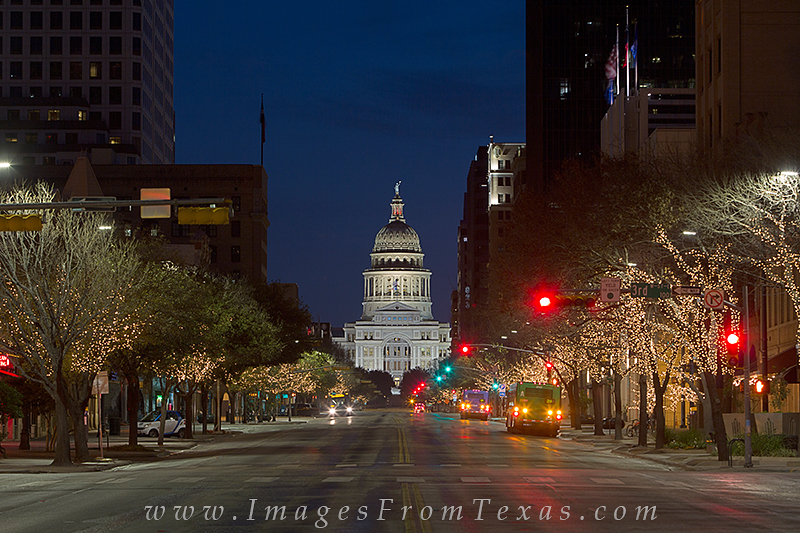 This photograph of the Texas State Capitol in Austin is the 2nd in an early morning series taken from Congress Avenue. It shows the trees along the side of Congress lit up (they are always lit at night no matter the season) and the seat of the government at the end of the road. Photo © copyright by Rob Greebon.